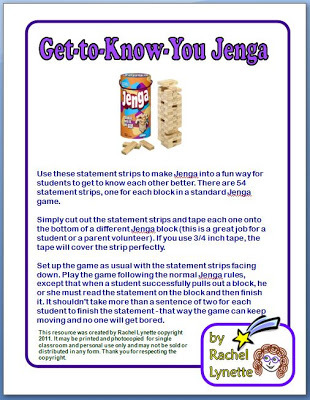 Here is a quick and really fun get-to-know-you activity for the first week of school. Have each student take out a sheet of notebook paper and write three interesting, but not widely known, facts about him or herself. Students should not put their names on their papers. 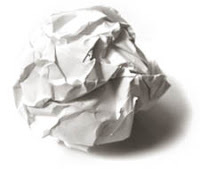 Then have the students crumple up their papers into balls and have a “snowball” fight. After about half a minute or so (or as long as you can stand it), have each student find a snowball, which by now are all over your classroom. After uncrumpling the paper, each student must try to find the student whose snowball he or she retrieved. 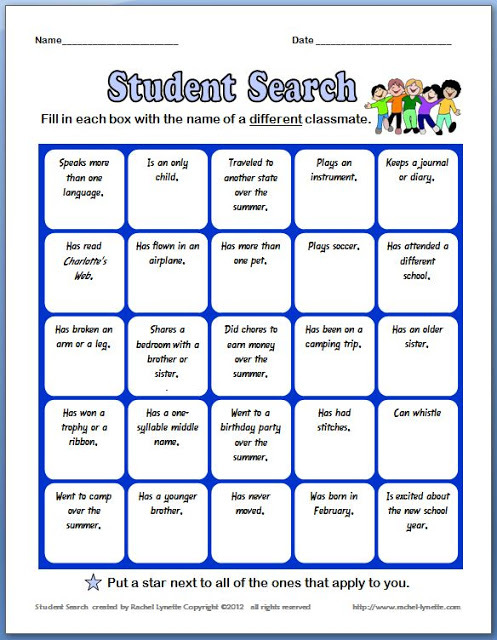 Extend the activity by having students share the three facts with the class. A good way to do this is to choose one student read his or her facts. Then the student who the facts were about goes next. Continue until everyone has read theirs. 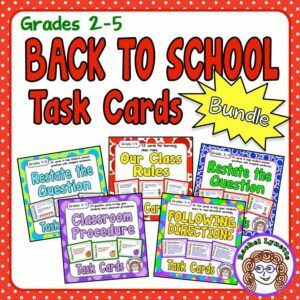 Check out Walk, Talk Trade for more ice-breaker fun or this Back to School Bundle to get your students ready to learn! This sounds like a lot of fun. Thanks for linking up! 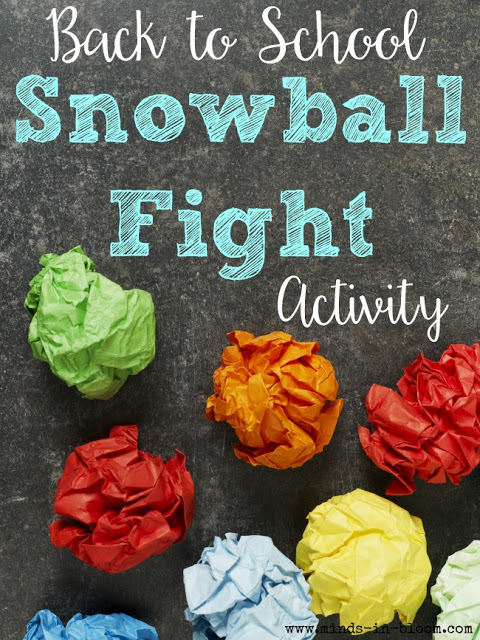 I used to use the "snowball fight" activity in my French and Spanish classes. I would have half the students write the vocabulary in the target language, and have the other half of the class write the vocabulary in English. Then after the fight they had to find the other student in the room that had the match to their word. They loved it! I like your idea of using it as a back to school activity! Thanks for sharing Liz! I love your idea of matching the words!! How can I adapt this for preschool? I was trying to figure out the same thing. I think the little ones would have a bigger emotional attachment to whatever they wrote or drew on the paper and wouldn’t want to crumble it up. I might try this with pre-written and crumbled paper with their names on it. Match the name to the child on the first day while they’re wearing nametags. Sounds like a perfect first day activity. I love all the variations on the game. Thanks for the great ideas! Great idea! I also thought you can write several math problems on some papers and there answers on the other. The students then have their snowball fight. Have the students then pick up 3 each. Pick a student and have them read their problem, hopefully they should have at least one, then have the students solve. Pick a child who thinks they know the answer and find the student who has that answer. The student with the answer reads one of their papers and around it goes. I do this every year at the start of CCD class. They LOVE it! I just have to remind them not to throw too hard. A few landed outside last year.